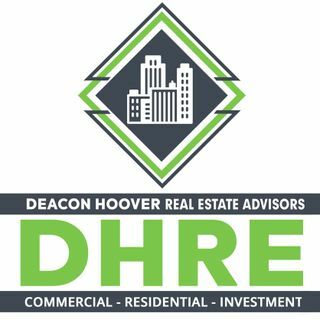 Deacon Hoover Real Estate Radio brings you exclusive and informative podcasts to help real estate professionals unlock their maximum potential. "The Deacon of Real Estate" Alex Deacon uses his 30 years of property management experience to discuss topics that will help YOU find your maximum potential, cashflow, roi, and success in the world of property management! For more information, visit DHREA.com, AlexDeacon.com, & MACEpgh.com! Experienced real estate investor Alex Deacon delivers informational broadcasts to help you earn more money in real estate investing. "The Deacon of Real Estate" has proudly served the Pittsburgh area for over 25 years, and is Co-Owner of Deacon Hoover Real Estate Advisors, MACE Property Management, and also organizes monthly ... Maggiori informazioni real estate networking workshops for investors in the area. DHRE's Ian Hoover holds insightful, informative discussions with other real estate professionals. Ian brings the best of the best to the table, as his guests consist of highly successful men and women in the real estate industry.